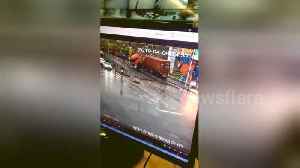 An out-of-control lorry in eastern China smashed through the embankment and crashed into a number of parked vehicles after it had to emergency brake to avoid a car. 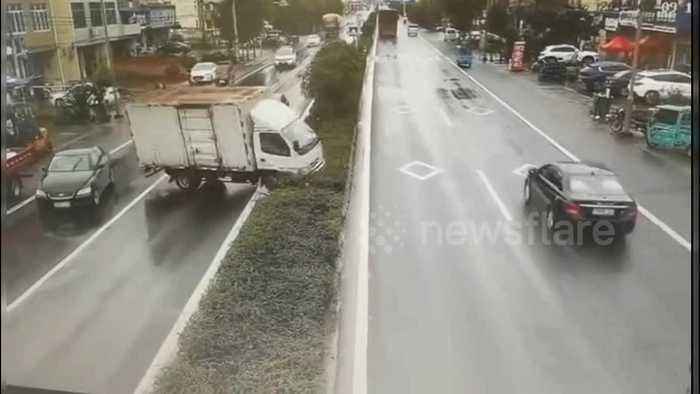 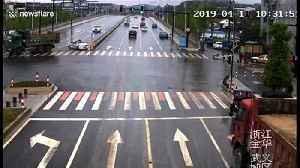 16 vehicles were caught in a pile-up on the Kunming-Chuxiong Expressway after a truck lost control and spun out into the guardrails at the edge of the road. 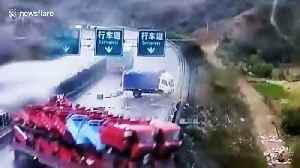 The dramatic video, filmed in Chuxiong Yi..